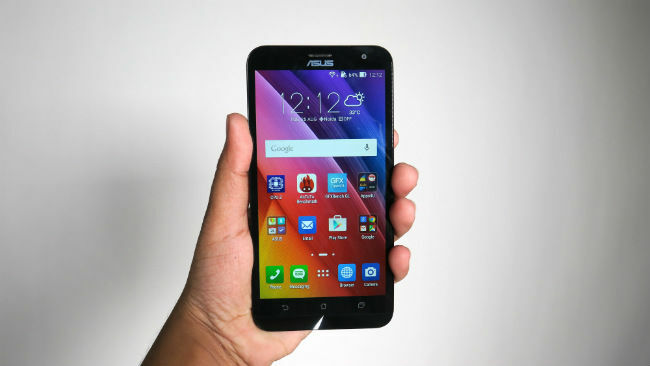 Asus Zenfone 2 Laser is one of the most affordable smartphones from the company. At Rs. 9,999, it does not come with a ground-breaking spec sheet but carries one of the best rear cameras in the sub-10K price bracket. And that's not just because of the laser auto-focus system attached to it. 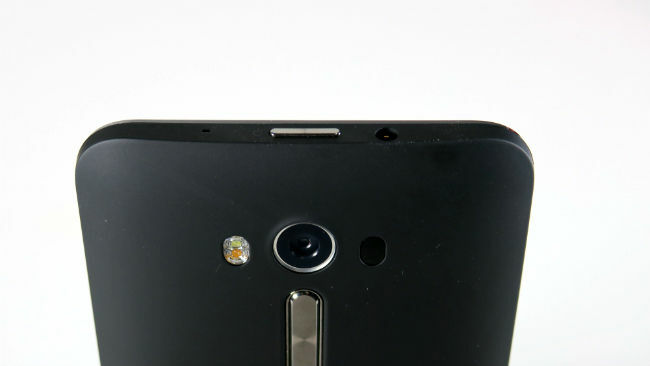 While the 13MP camera is nothing new for the sub-10K smartphone market, the laser assisted autofocus is. However, like other Zenfones, it seems Asus has just tweaked and added some features in existing Zenfone 2 units, to make a new phone out of the same mould. So, is it any better than the rest of the herd? Well, that’s what we are going to find out. 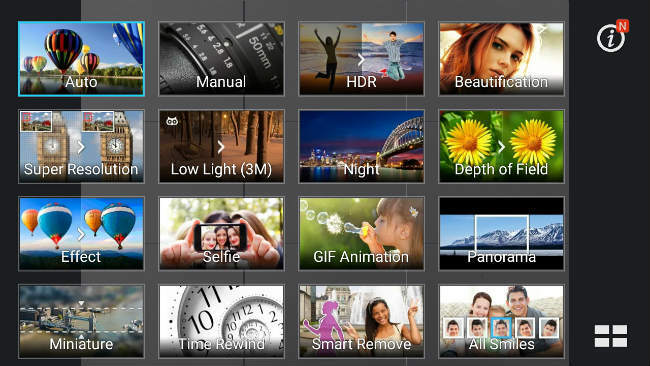 Let's start with the camera, since it is the most prominent feature on this phone. So, like we mentioned, the Asus Zenfone 2 has a 13MP rear camera with laser autofocus and it works. Images taken by the phone feature very good details and color saturation. Dynamic range and depth of field are also quite impressive. Images taken in the night or low light conditions are also good, however the processing time is considerably longer when shooting in low light. To compliment the excellent imaging capabilities, the phone has a very expansive camera software which offers tons of settings, tweaks and presets. All in all, the laser autofocus does take the phone ahead of its competitors, in the camera department at least. However, we should add that the Zenfone 2 Laser's camera is only good among its competitors and you will be able to get better image quality with other phones as you go higher up the price tree. What the laser auto-focus does for the Zenfone 2 Laser is make the focusing really fast, more than its competitors. For more information, check out this camera comparison of the Zenfone 2 Laser. We won't mince words. 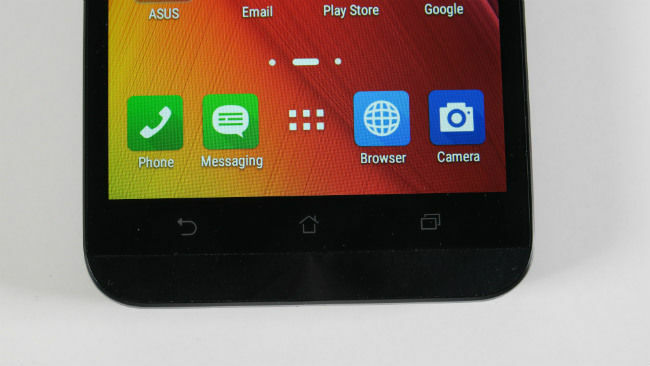 This is the same design Asus has used quite blatantly in its previous phones. Like we said earlier, it seems Asus has made a mould for the Zenfone 2, and has been tweaking only the spec sheet to make a new phone out of each new tweak. It has the same build and design, to an extent where nobody can distinguish between this phone and other Zenfone 2 phones without taking a closer look at them. Same old same old. Although the 5.5-inch 720p display does trade sharpness for affordability. Viewing angles are decent and colour saturation is good, everything that we have come to expect from Asus' Zenfones. Of course, ZenUI also remains the same as other Asus phones, which means there's nothing new to talk about here. 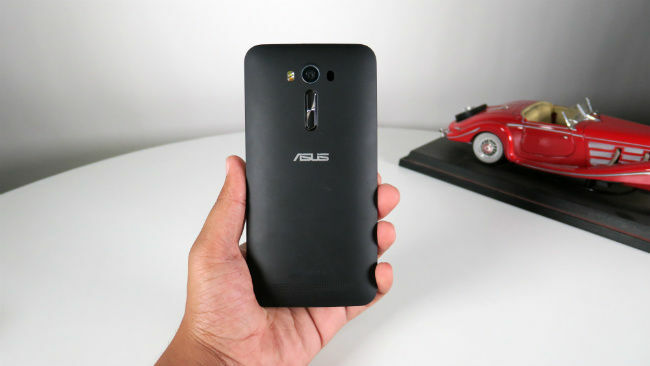 If still want to know more though, do check our review of the Asus Zenfone 2 (2GB). Here things have changed. The phone comes with a Qualcomm Snapdragon 410 SoC, the weakest of Qualcomm's SoCs right now. Now, this has obviously been chosen to bring the phone into the sub-10K bracket, but this SoC performs way below the Intel Z3560 SoC that we saw in 2GB RAM variant of the Z. The phone works well for the most part but it is not a performer. Gaming or any processor taxing task show the phone's shortcomings. It handles day to day tasks with slight lags and feels considerably underpowered compared to the the YU Yureka Plus or the Meizu M2 Note. Calling and audio capabilities are quite good though. The 3000mAh battery capacity is a huge plus for the phone. The device was easily able to last us a day with moderate usage. Gaming does drain battery quickly but the battery conservation is still respectable. The software does let you change settings to even more restrictive settings, which lets the phone survive a day and then some, between charges. On a normal day's usage, we got about 8-9 hours consistently. The Asus Zenfone 2 does have a good camera and a robust build but few people buy a phone based on these two only. The phone is not a performer and lags behind by a large margin when compared to its rivals like Yu Yureka Plus or the Meizu M2 Note, which is its biggest drawback. We would recommend this phone to you if the camera is your biggest priority, but for everything else, the Meizu M2 Note would be a better choice.